So You’re Moving to Dubai… Should You Take Your Dog? In short – yes, definitely! Having a dog can ease stress, help you make friends (at dog parks/out walking) and ensure you get plenty of exercise. In theory, it depends on the breed of dog you have, and whether they are suited to a hot climate. 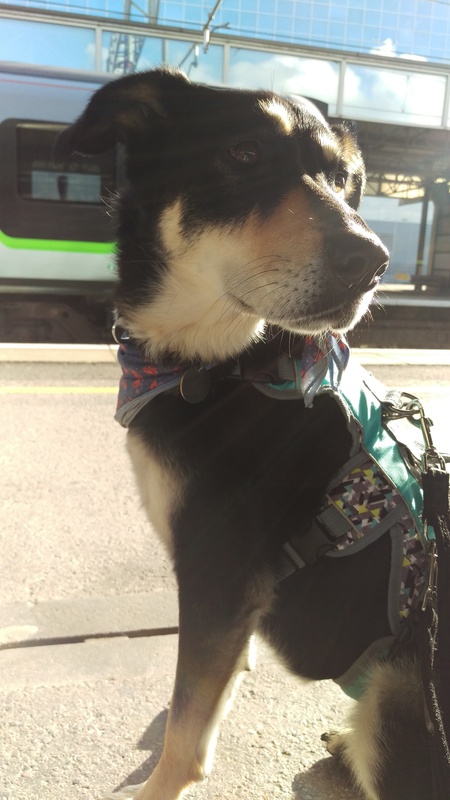 Meet Roxy – a rescue Collie x GSD who has travelled from Ireland to Dubai via Shrewsbury, Northampton & Sheffield! But after a little digging I found that there is a huge community of people in Dubai who have dogs that lead a perfectly normal, active life. I also learned a lot about the difficulties faced by rescue organisations in Dubai and the extent of the stray/abandonment problem. By the time I’d decided it was possible for Roxy to come to Dubai, I’d already decided we would rescue another dog whilst we were out there! At first, I was determined to organise as much of it myself as I could. I knew it was going to be expensive (alongside all the other costs that have to be considered when starting out in a new country!) so I wanted to try and minimise it as much as possible. After some research, I came to the conclusion that as it was my first time at this, it might be better to get some help! I researched and contacted a LOT of UK based relocation agencies. I soon discovered that dogs entering Dubai (and when coming back to the UK) must travel as cargo. 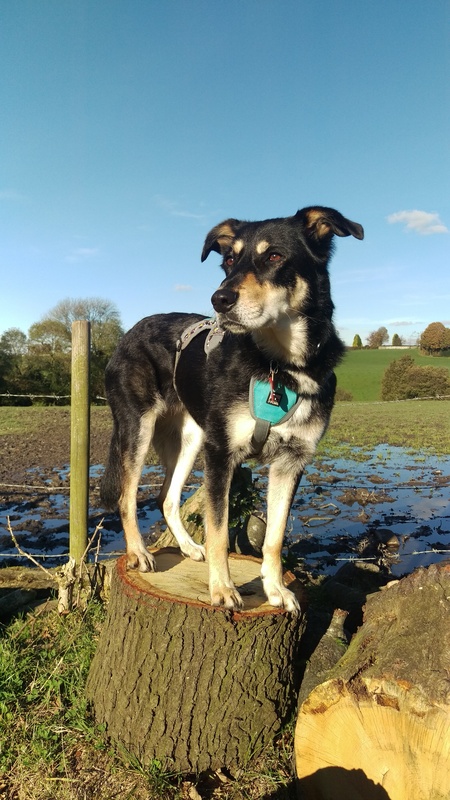 As a dog parent I was initially worried about Roxy flying in the hold on her own (even though as a 22kg dog there is no choice) but I shouldn’t have been. Google is my best friend (no really, I’m always searching something!) and even though there are a few horror stories, over 96,000 different animals (horses/dogs/cats/rabbits/falcons/etc.) are shipped around the world every year, and mortality is often because of an underlying health condition and not the shipping process itself. Never has crate training been so easy – Roxy slept in there straight away! Roxy is a nervous dog; loud noises startle her (gunshots/bangs/fireworks/backfiring cars etc.) therefore travelling on a plane was probably going to be a pretty scary experience for her! I wanted to reduce the stress of the journey for her as much as possible. Roxy has travelled by car, bus, boat and train, so is used to moving vehicles, aeroplane was just the last mode for her to conquer! Find out what your travel company provides. Many want you to use a bespoke crate built by them. I didn’t want to. I wanted Roxy to travel in a crate she’d spent time sleeping and eating in so that it was a ‘safe space’. Unfortunately, this tends to increase the cost of export with many agencies. 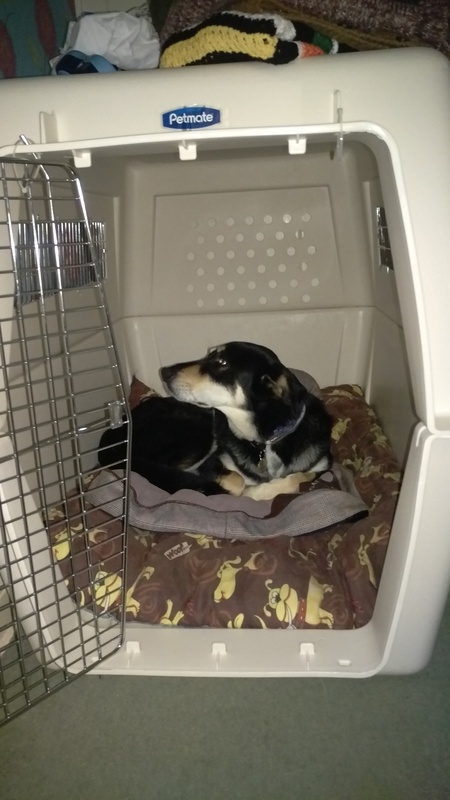 In the end, I decided it was worth it because we’d need a crate to come home again eventually and I’d be happier knowing she was travelling in a space she trusted and knew. We used Airpets who are based at Heathrow, as they had several excellent facebook/google reviews (all recent) and because they told me exactly what I needed to do, and when. The only vaccine Roxy was missing was rabies (it’s not standard in the UK) so once that was done she was effectively ready to travel. They even put her travel crate together for me as it wouldn’t fit in the hire car otherwise! Dogs must be microchipped to travel and have all the normal (DHPPiL) vaccinations as well. This varies on a country by country basis, so check what is required by the Dubai Authorities for your country and the Airline you are travelling with to ensure you get it right. 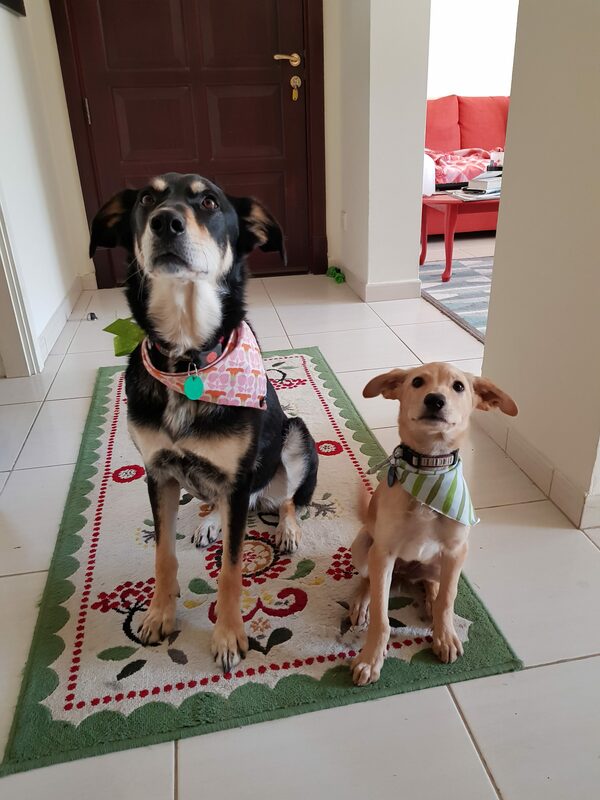 Facebook (particularly the Dogs in Dubai group) is a fantastic place for information on import/exports, where to walk your dog and information on the various rescue groups. 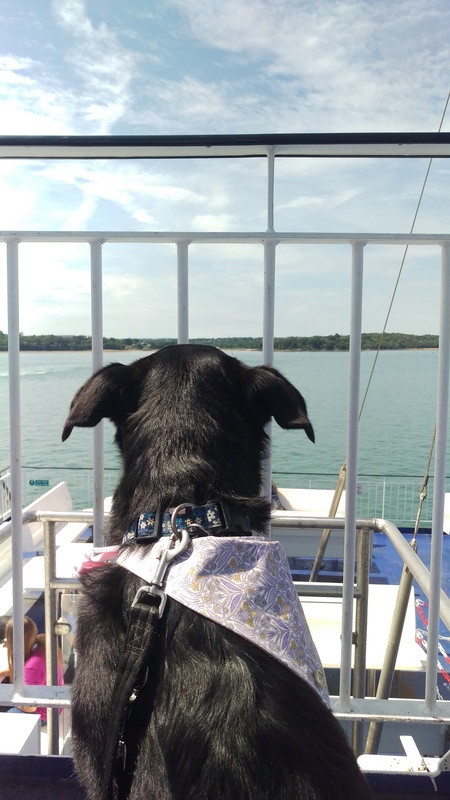 It is totally possible to import your dog by yourself, but prior to moving over here I had only been to Dubai for four days, so had no idea of the bureaucracy and paperwork that comes as standard with most processes. There are several really great relocation experts who know what forms are needed and what formalities are required. Some even collect and drop off your dog for you. I contacted Kirsty at Pawesome Pets who put me in touch with Lee Slimming at Relocate Your Pet. Lee was brilliant, super easy to talk to, got all the paperwork in order and brought Roxy to our door within 3 hours of her landing. You can apply for the import certificate and other items required yourself through the MOCCAE website. There are plenty of other things that ran through my mind when bringing Roxy to Dubai. She’s a black collie x GSD (she gets a thick undercoat in winter) so I had to find plenty of ways that I’ll be able to keep her cool whilst out here. Also, before we even left the UK I already knew how I would bring Roxy back either in an emergency or as planned. I can’t stress how important this is. Dubai is such a transient country you never know what can happen. Saving to come home is a must from day 1. There is also no pet insurance in Dubai, so you need to save for unexpected vets bills too. The first thing we did once out here (after registering Roxy with the Municipality and a vet is to open a savings account purely for the dogs.